Sophie Christiansen won the individual Dressage Grade 1a, and with Deb Criddle, Sophie Wells, and Lee Pearson won the Team Dressage gold. The Team Dressage stamp will use a picture from the medal ceremony which will take place on the evening of Tuesday 4 September. 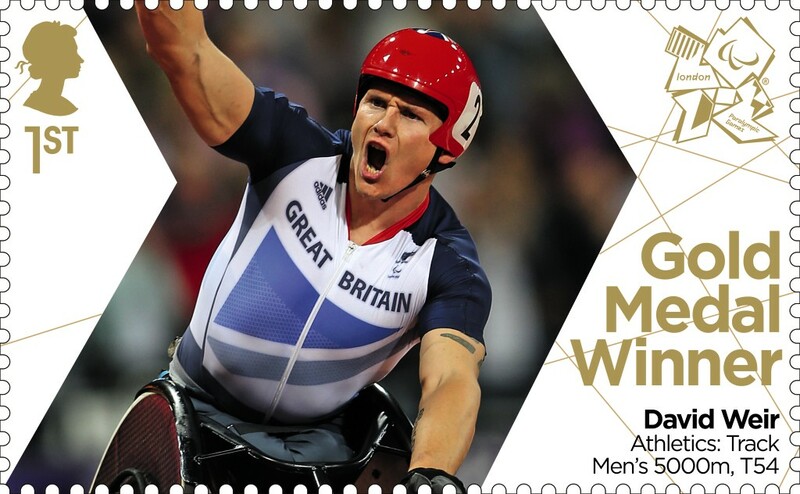 The stamp will probably be issued on Thursday. 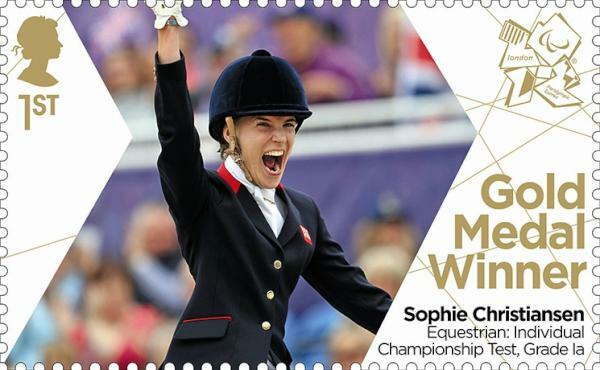 Here's Sophie's own stamp, which we can now confirm will be issued as PGMW-F1. Britain's David Weir sprinted to a sensational victory in the T54 5,000m to win his third Paralympic gold medal. This will be issued as PGMW-F2. Natasha Baker wins her second Paralympic gold with a new personal best in the Grade II freestyle dressage. 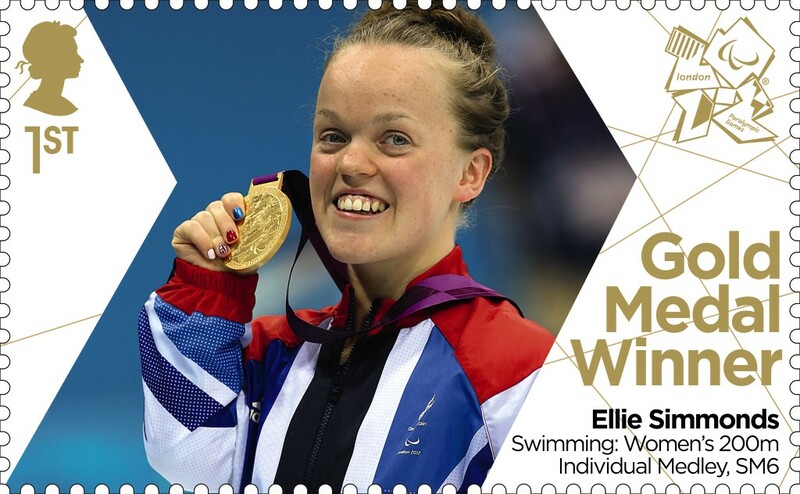 This will be stamp PGMW-F3. Ellie Simmonds powers to her second gold medal of London 2012 in world record beating time after victory in the women's individual medley 200M SM6. This will be stamp PGMW-F4.